My wife and I really like the product doesn't leave the hands greasy just very smooth. I have very sensitive skin and it hadn't had any reactions. My skin very smooth. 3rd degree burn with skin graff. 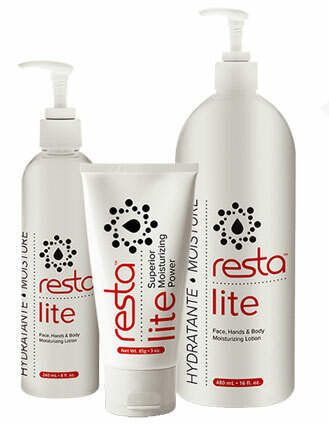 Plastic surgeon recommended Elta Lite (now called Elta Resta Lite). Works great. Just love the lotion--have been using it for years!!! I'm a burn survivor and use it a couple times a day.